Have you ever had one of those teaching days where everything clicked? The kids are all on task, engaged, and producing quality work! It sounds like a fairy tale. Simply too good to be true, right??? 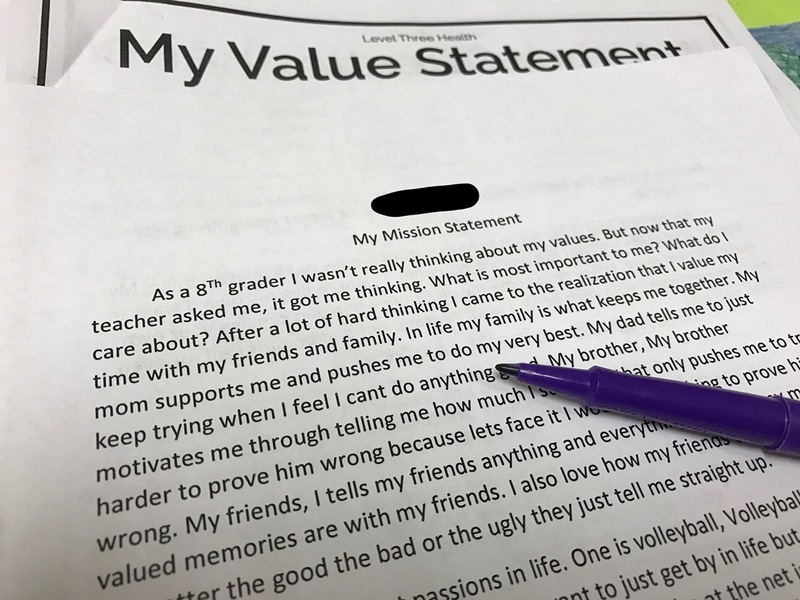 My 8th graders were diving into our Spiritual Health mini-unit, getting ready to write mission statements. I was a bit nervous because it really isn’t an easy process. I mean, just think back to the joys of writing your philosophy of education in college. Because of the complexity of writing mission statements, I tried to scaffold it as much as possible (with the bulk of the foundational knowledge being laid during the previous year’s unit on Spiritual Health). 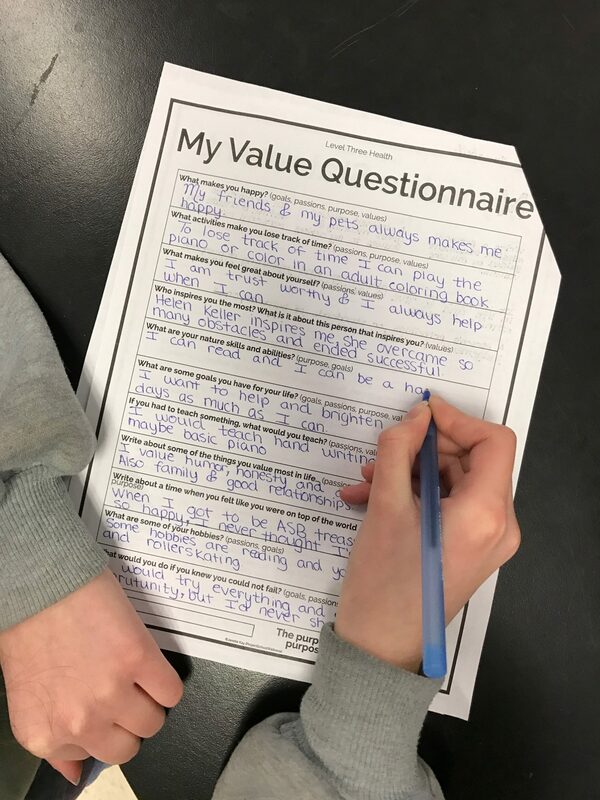 Next up, students thoughtfully and thoroughly filled out a “My Mission Questionnaire” to help define their goals, passions, purpose, and values. This was a pivotal step in the writing process. It helped turn the very abstract idea of a mission statement into something tangible. 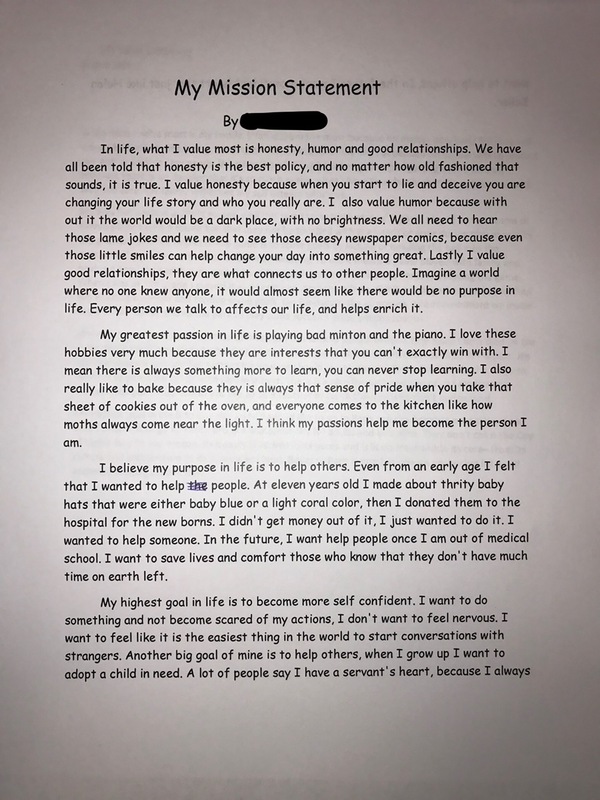 My greatest passion in life is…..
By this point, if students had been deliberately and thoughtfully going through the brainstorming process, writing their mission statement was easy as pie. All they had to do was grab their Chromebooks and get to work. Tah-dah, I am so proud of my 8th graders! And beyond impressed with the quality of their work. I can’t even begin to imagine what’s to come if they’re able to produce this kind of introspection as 13 year olds! My dream is for middle schoolers across the globe to discover and define their purpose! So, I am sharing this activity with you! This is such a good activity for our students to do. It gives them a more concrete way of looking at their lives. Most of the time they get questions like where do you see yourself in 5 years. I’m so glad you found it valuable. It’s seriously one of my favorite lessons to teach. I’m always so amazed at what the students write.